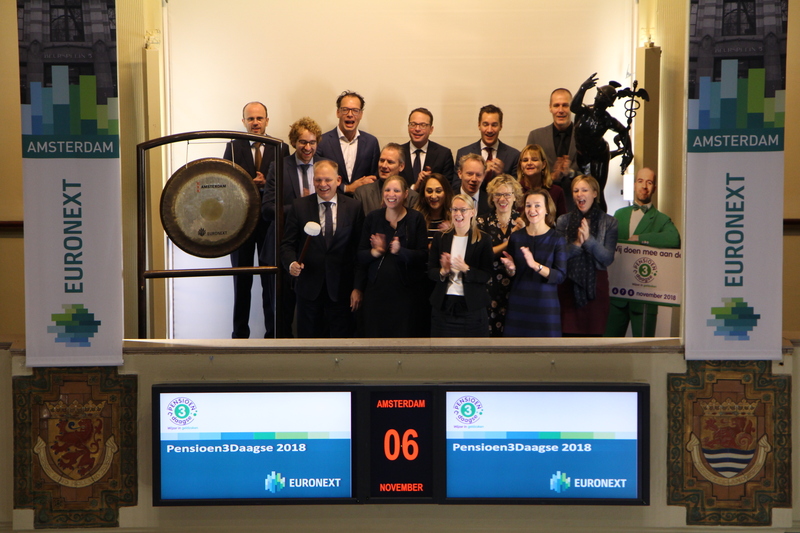 This year, the eight edition of the Pensioen3daagse (3 day pension fair), initiated by platform Money Wise (Wijzer in geldzaken) takes place. The ministry of Social Affairs and Employment will start the Pensioen3daagse by visiting the Amsterdam exchange and sounding the gong. The purpose of this three-day fair is to promote financial resilience at a later age. Money Wise developed a tool in this context ‘’What should I do for my retirement?’’ that enables people to make an assessment of their situation later in life. The Pensioen3daagse includes pension consultations and awareness in the workplace. Insurers, banks and financial advisers also open their branches to people with retirement questions. Participants in the Pensioen3daagse include Ministry of Social Affairs and Employment, Authority for the Financial Markets Association of Insurers, Pension Federation, Pension Register Foundation, Ministry of Finance, Adfiz, FFP, the Dutch Central Bank, Nibud, several banks, pension funds and insurers, unions, educational institutions, pension advisors and many other employers.